Step off the beaten path and head to Erskine Falls and Split Point Lighthouse. Explore Torquay's surroundings by going to Lorne (Teddy's Lookout, Lorne Beach, & more). There's lots more to do: cruise along The Great Ocean Road, stroll through Bells Beach, and kick back and relax at Point Roadknight. For ratings, reviews, more things to do, and tourist information, you can read our Torquay road trip app . Berlin, Germany to Torquay is an approximately 27-hour combination of flight and bus. You can also do a combination of train, flight, and bus. The time zone difference moving from Central European Time (CET) to Australian Eastern Standard Time (Victoria) (AEST) is 9 hours. In March, plan for daily highs up to 28°C, and evening lows to 15°C. Cap off your sightseeing on the 26th (Tue) early enough to go by car to Apollo Bay. Apollo Bay is a coastal town in southwestern Victoria, Australia. You'll discover tucked-away gems like Mait's Rest and Carisbrook Waterfall. 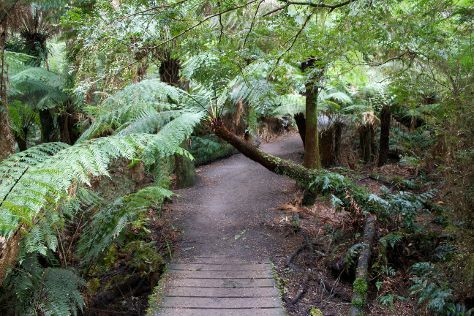 Venture out of the city with trips to Sheoak Falls (in Lorne) and Colac (Colac Botanic Gardens & Jo's Pantry). There's lots more to do: hike along Great Ocean Walk, stroll through Paradise Picnic Reserve, cruise along Great Ocean Road, and get great views at Mariners Lookout. 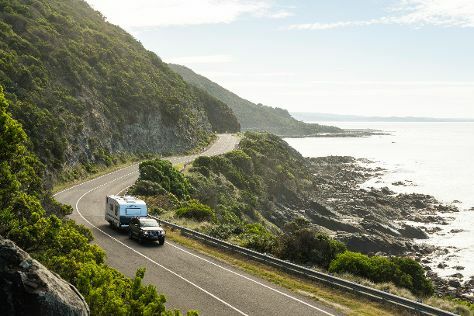 For where to stay, traveler tips, maps, and other tourist information, you can read our Apollo Bay journey website . Traveling by car from Torquay to Apollo Bay takes 1.5 hours. Alternatively, you can take a bus. Cap off your sightseeing on the 29th (Fri) early enough to travel to Portland. Portland is a city in Victoria, Australia, and is the oldest European settlement in the state. Start off your visit on the 30th (Sat): take in nature's colorful creations at Portland Botanical Gardens, examine the collection at Portland Powerhouse Motor and Car Museum, then immerse yourself in nature at Cape Nelson State Park, and finally enjoy the sea views from Cape Nelson lighthouse. On the next day, brush up on your military savvy at World War II Memorial Lookout and then look for gifts at Portland Strawberries. To see ratings, other places to visit, photos, and tourist information, read our Portland trip planner . You can drive from Apollo Bay to Portland in 4 hours. In March, daytime highs in Portland are 27°C, while nighttime lows are 13°C. On the 31st (Sun), wrap the sightseeing up by early afternoon so you can travel to Warrnambool. Warrnambool is a regional centre and former port city on the south-western coast of Victoria, Australia. Step off the beaten path and head to Bay of Islands and Griffiths Island. Change things up with these side-trips from Warrnambool: The Grotto (in Port Campbell) and Griffiths Island Lighthouse (in Port Fairy). There's still lots to do: look for all kinds of wild species at Tower Hill Wildlife Reserve, explore the landscape on two wheels at Foreshore Promenade, tour the pleasant surroundings at Lake Pertobe Adventure Playground, and don't miss a visit to Mystery In The Trees. To see reviews, maps, traveler tips, and more tourist information, use the Warrnambool trip itinerary planner. Traveling by car from Portland to Warrnambool takes 1.5 hours. Wrap up your sightseeing on the 3rd (Wed) early enough to travel to Camperdown. Camperdown is a historically significant rural town in southwestern Victoria, Australia, west of the state capital, Melbourne. 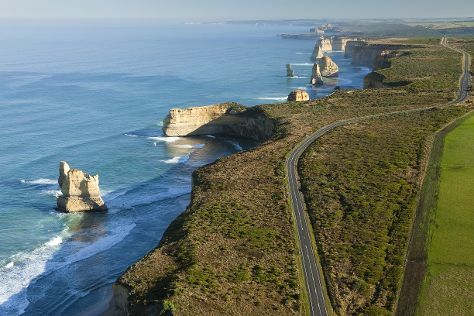 Discover out-of-the-way places like Port Campbell National Park and Apostle Whey Cheese. You'll find plenty of places to visit near Camperdown: Port Campbell (Gibsons Steps, Loch Ard Gorge, & more). And it doesn't end there: pause for some photo ops at Robert Burns Statue, get your bearings at Courthouse Camperdown, and take in panoramic vistas at Gnotuk Lookout. To see photos, reviews, where to stay, and tourist information, use the Camperdown trip planner. You can drive from Warrnambool to Camperdown in an hour. Finish your sightseeing early on the 6th (Sat) to allow enough time to travel to Melbourne. You'll discover tucked-away gems like Lake Wendouree and Ballarat Wildlife Park. Explore Melbourne's surroundings by going to Eastern Beach Reserve (in Geelong) and Art Gallery of Ballarat (in Ballarat). There's still lots to do: admire the natural beauty at Royal Botanic Gardens, admire the masterpieces at National Gallery of Victoria, meet the residents at Melbourne Zoo, and examine the collection at Melbourne Museum. To find traveler tips, photos, ratings, and tourist information, refer to the Melbourne online route planner . You can drive from Camperdown to Melbourne in 2.5 hours. In April, plan for daily highs up to 23°C, and evening lows to 11°C. Finish your sightseeing early on the 13th (Sat) to allow enough time to travel to Sydney. Eschew the tourist crowds and head to Wentworth Falls and Canyoning & Rappelling Tours. Step out of Sydney to go to Manly and see Shelly Beach, which is approximately 36 minutes away. There's still lots to do: take in nature's colorful creations at Royal Botanic Garden Sydney, kick back and relax at Manly Beach, don't miss a visit to Sydney Harbour Bridge, and wander the streets of Darling Harbour. For where to stay, other places to visit, ratings, and more tourist information, read our Sydney road trip planner . You can fly from Melbourne to Sydney in 3.5 hours. Other options are to do a combination of shuttle and flight; or drive. Expect somewhat warmer evenings in Sydney when traveling from Melbourne in April, with lows around 17°C. Wrap up your sightseeing on the 19th (Fri) early enough to travel back home.